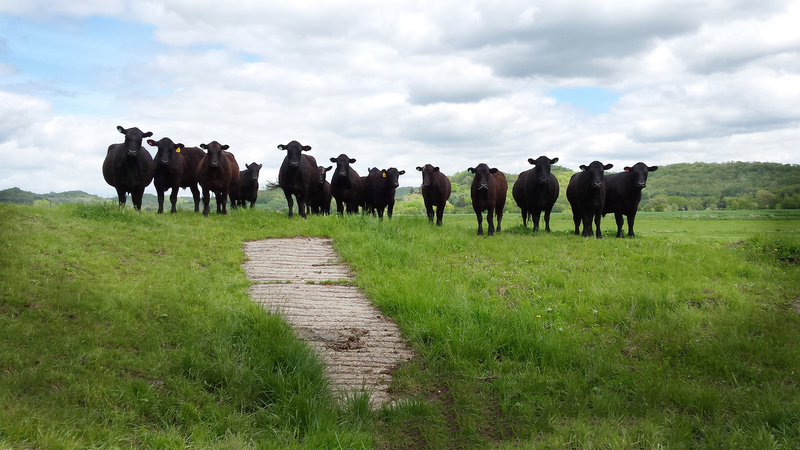 In January we learned that our rented bull “Spud” had a 100% success rate with our ladies. We were expecting seven calves this year. 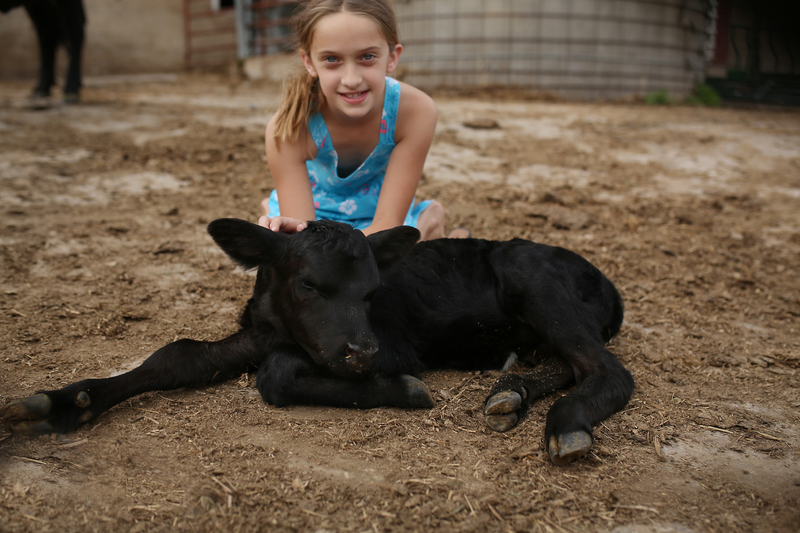 We are excited and feel blessed that all seven mamas delivered healthy calves without complications! We had four mature cows and three heifers (delivering for the first time). 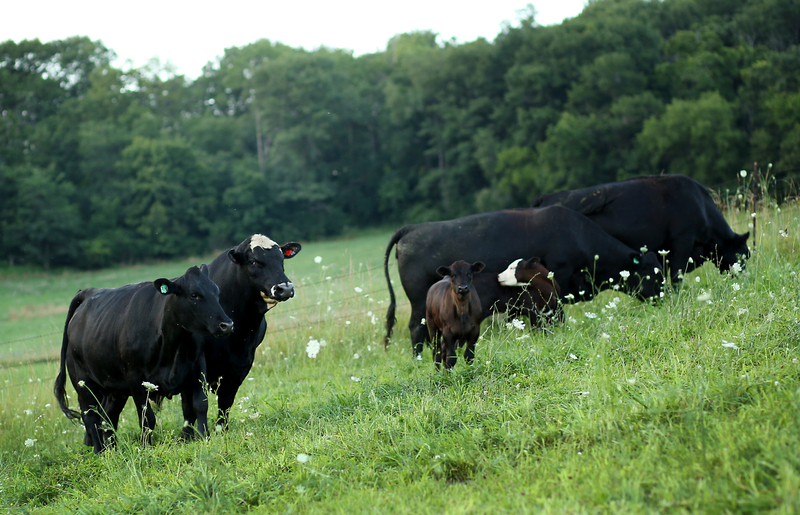 After experiencing a loss last year, I was so relieved that all our ladies and their babes sailed through our calving season which took place May 9 through July 5. The result was five heifers and two bulls. The bulls just happened to be calves #6 and #7 for us, breaking our streak of nine heifer calves in a row from 2014-2015. You may recall our fist year “starter kit” I gave all names that started with “C”. Additions in 2014 begin with “D”, so we are now on to “E”. 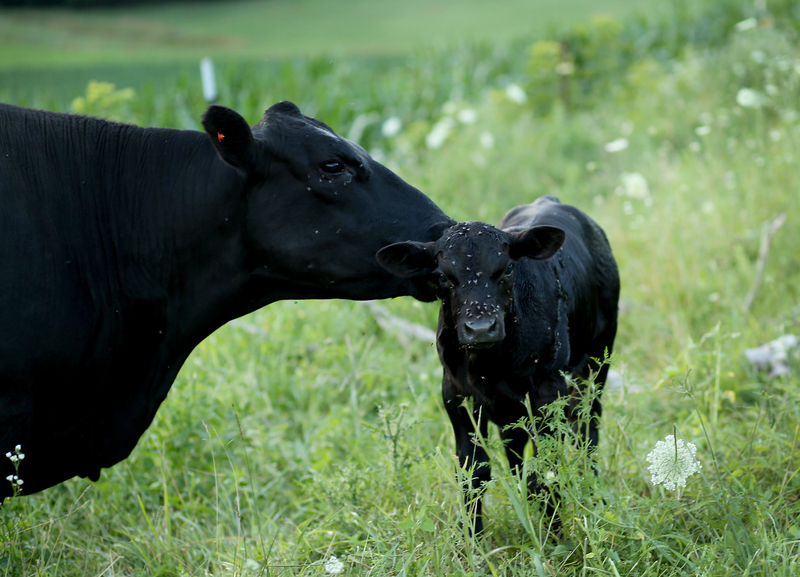 2015 calves are Ellie, Elsa, Eva, Emory, Eleanor, Elbert, and Eddie. Spud returned to Bear Vale on July 17 and, if my math is correct, we have the anticipation of a potential 11 additions to the herd in 2016. Spud’s markings proved to add a bit more color and splashiness to our new calves. A couple have white on the bellies, and a few have white facial markings. Eleanor has a full white face! 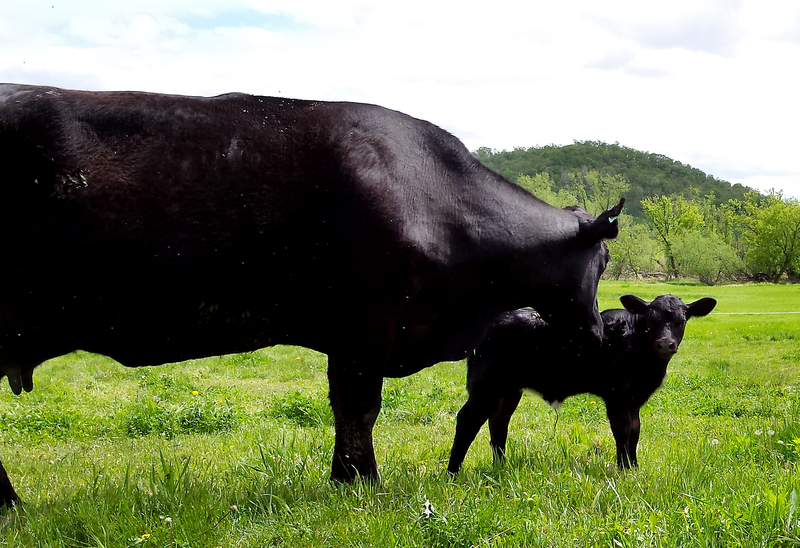 2015 Calf #4, Emory, from cow Cora. Interesting facial markings. Madi was visiting from Arkansas when Dakota, our wedding gift from Cody’s father and step-mom, had our third calf of the year. I gave Madi naming rights with the only direction it had to start with an “E”. Here’s Eva. 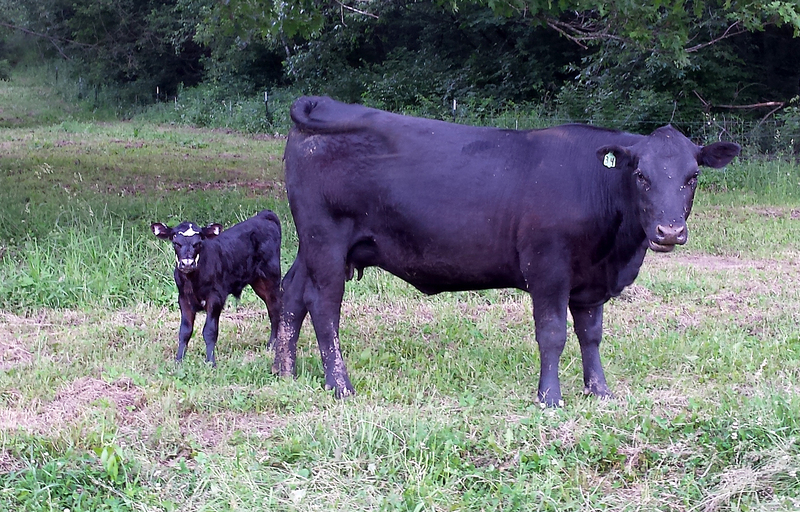 A full black calf. Our first calf of 2015, Ellie, from cow, Cplitzy. A bit of white on the belly. A glimpse at our herd on May 15, 2015. We had 15 at this time. 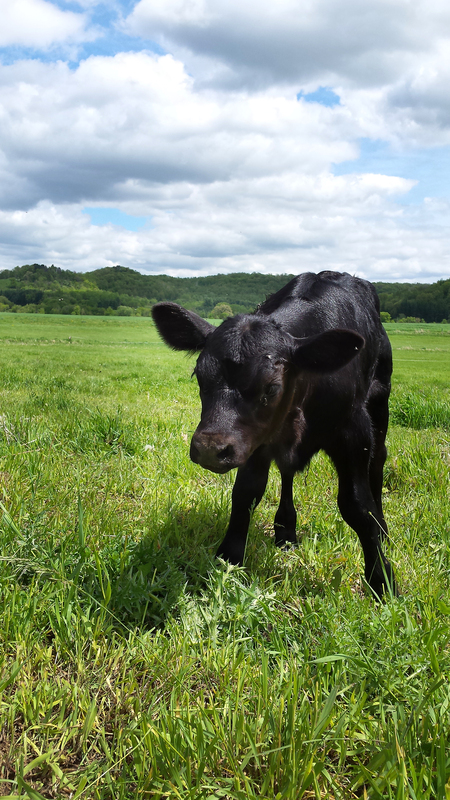 With the addition of our 7 2015 calves, we are 22 strong now! Our last calf of the year, a bull calf, Eddie, from cow, Crazy.